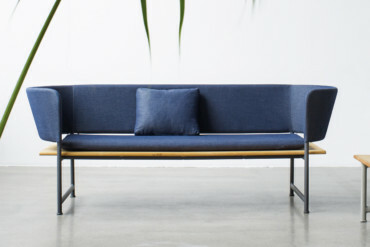 Without braid: By "Brixx" designed by Lorenza Bozzoli, Dedon presents a modular system of upholstery furniture that is striking through a slanting seam. 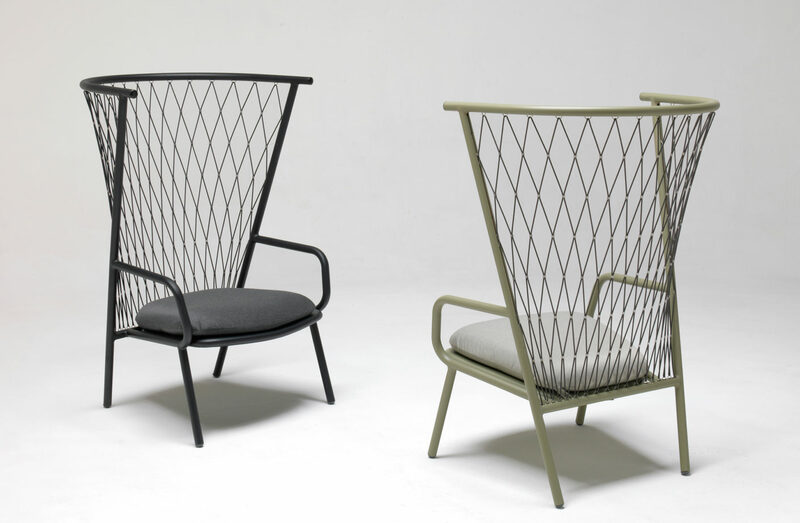 “My aim was to create dense braiding that would still let the air through, reminiscent of the braiding of the ropes used to moor boats, which makes the pieces look lightweight but, at the same time, they look just like cosy nests in natural colours to sit back and relax in,” Rodolfo Dordoni recollects when talking about his new chair for Kettal. 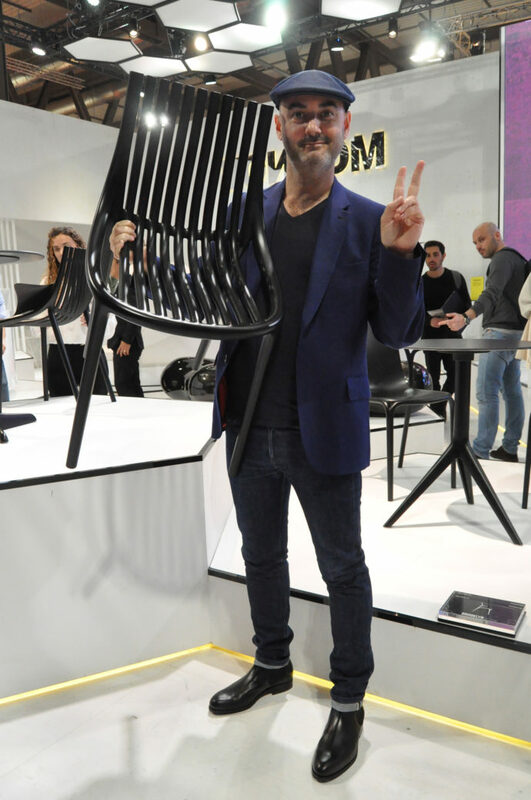 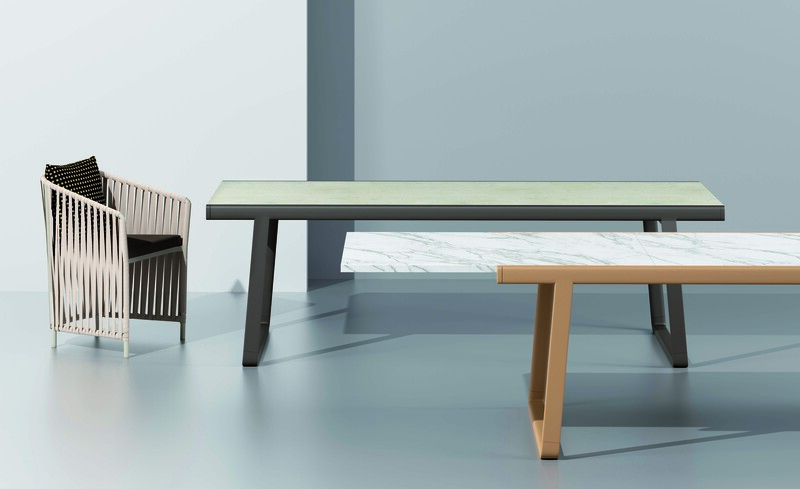 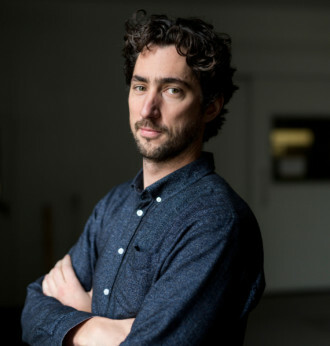 And Dordoni certainly hits the nail on the head, hardly surprisingly since he has not only been working on behalf of Kettal, but has also designed the new outdoor range for Minotti, not to mention a range of sofas for Roda. 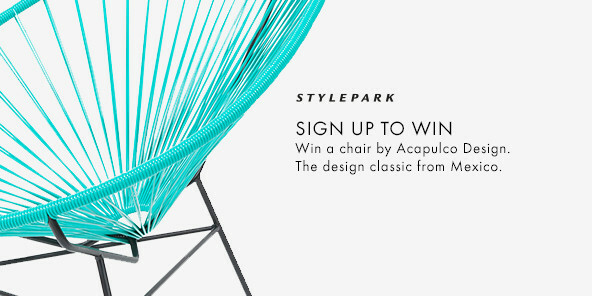 After all, playing with straps, ropes and belts, all of which make seating stable and give it a wickerwork look, is still state-of-the-art with leading outdoor furniture manufacturers such as Dedon, Kettal, Roda, Tribù, and Varaschin. 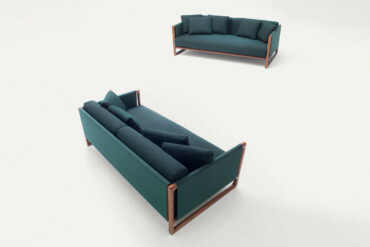 Put differently, you have to take a closer look to notice the differences: With Rodolfo Dordoni’s new “Piper” high-back range of sofas for Roda, for example, the belts run parallel to one another, whereas with his “Bitta” chair for Kettal they are rotated. 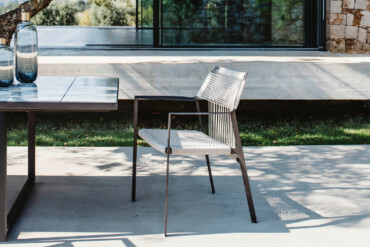 Monica Armani, the female equivalent of Dordoni when it comes to outdoor design, and the creator of the successful “Tosca” series for Tribù, developed special knotting techniques for her new range for Varaschin and the “Regista” chairs for Tribù, which reveal new playfulness in terms of craftsmanship. 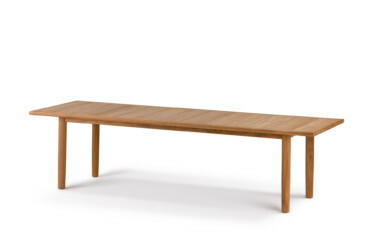 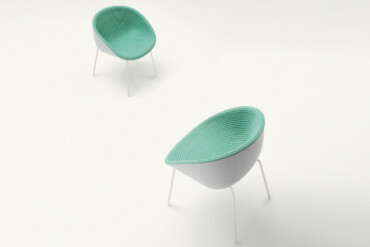 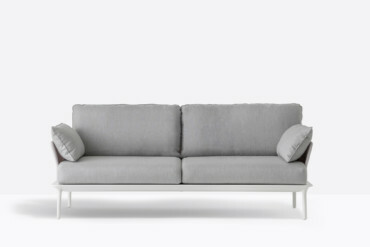 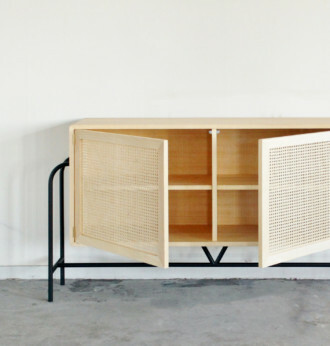 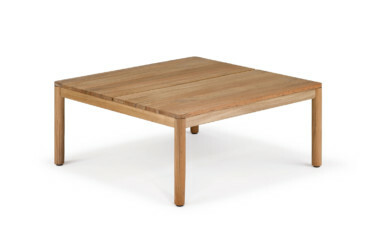 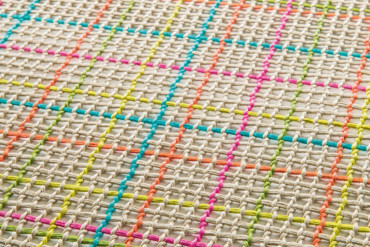 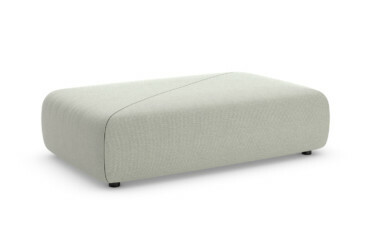 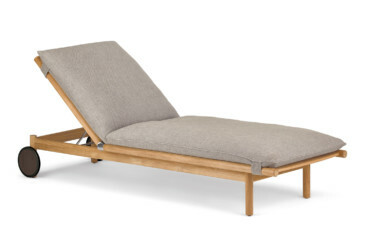 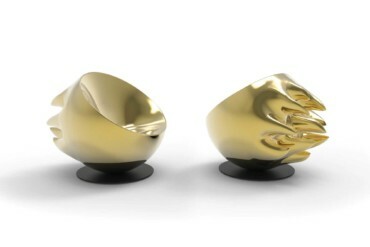 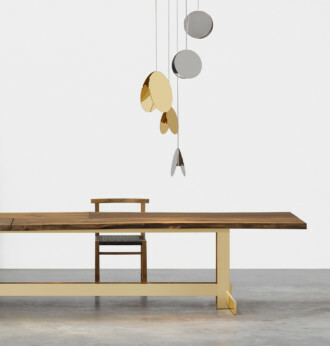 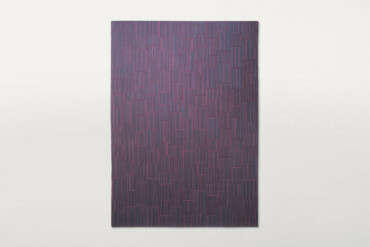 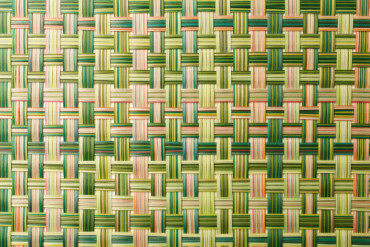 Like at the loom: the new model "Nodi" from the New York designer duo Yabu Pushelberg for Tribù. 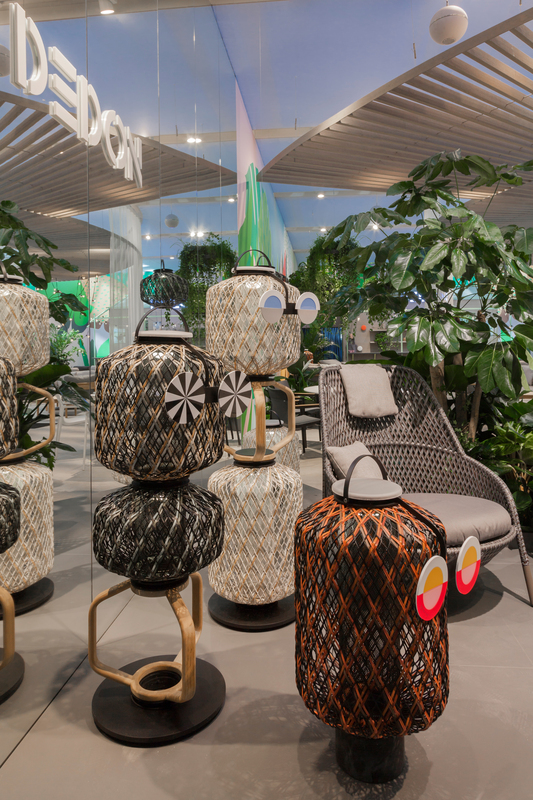 Stephen Burks has extended his line for Dedon with the outdoor lighting "The others" - with additional acrylic sunglasses almost looked like animated Voodoo dolls. It is certainly no coincidence that Dedon, Minotti, Paola Lenti and Varaschin are presenting fully-fledged upholstery ranges, which thanks to weatherproof textiles and special foams, as well as water drainage systems, can easily be used en plein air. 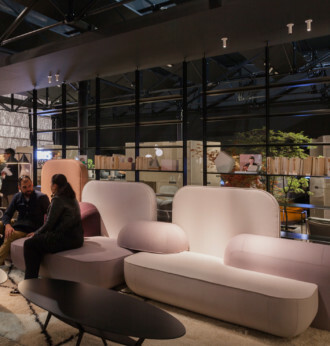 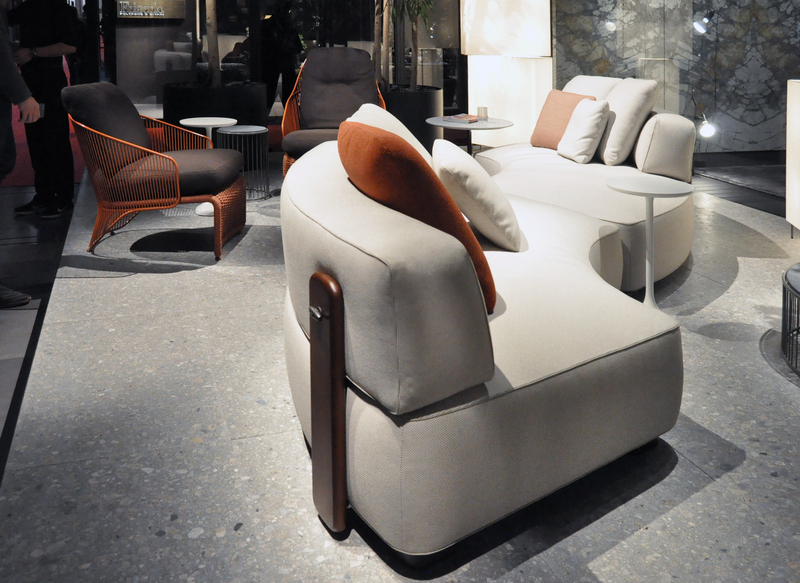 Whereas Minotti (with “Florida” by Rodolfo Dordoni) and Varaschin (with Daniele Lo Scalzo Moscheri’s “Circle Belt”) have both opted for half-moon-shaped sofas reminiscent of the party-going 1970s, Dedon (with “Brixx” by Lorenza Bozzoli) and Paola Lenti (with “Agio” by Francesco Rota) have preferred reduced cubic shapes, which thanks to their modular character can be configured in many different ways. 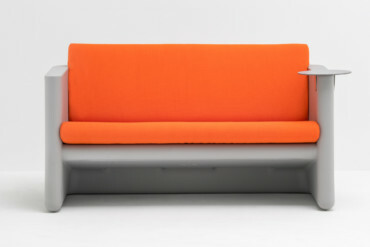 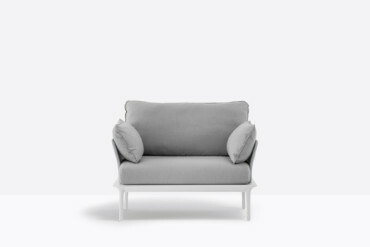 As an alternative, Pedrali is offering lighter forms of seating; it boasts frames – made in the case of Alessandro Busana's “Sunset” of polyethylene, and of Patrick Jouin's “Reva” from aluminum – that are comfortable thanks to the reliance on the good old cushion. 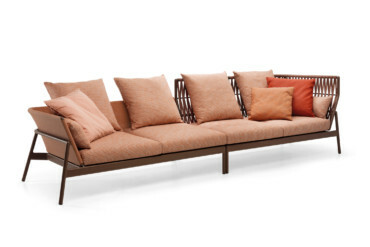 Right now, when it comes to outdoor furniture there is no getting round weatherproof yarns and textiles, which neither sun, rain, nor mold can harm and which garden and outdoor specialists are often manufacturing themselves. 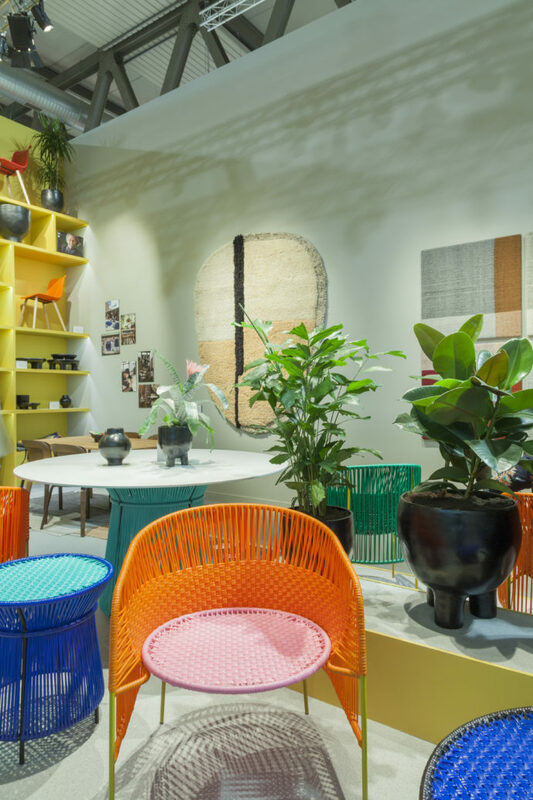 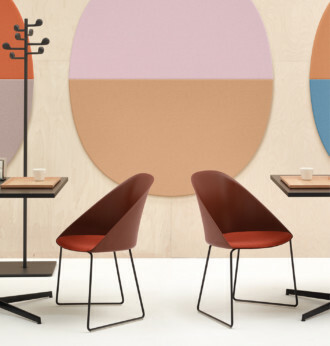 In this context, not only Paola Lenti has gone for multi-color with the new yarn “Twiggy”, but so has Kettal with “Ropes” and “Parallel Fabric” (both courtesy of Doshi Levien). 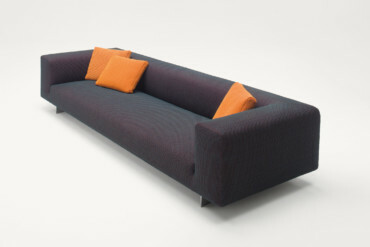 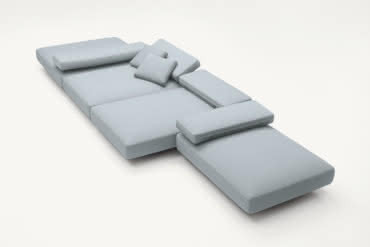 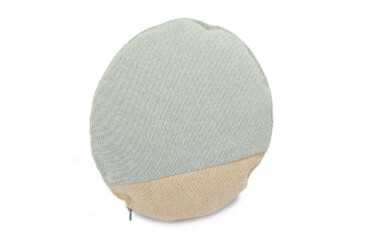 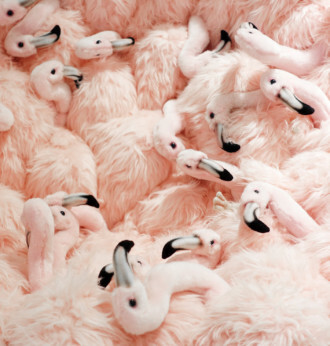 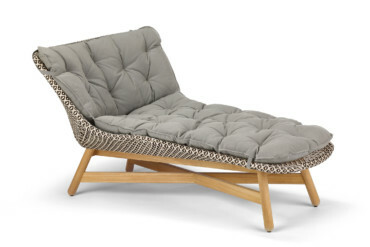 Furthermore, manufacturers such as Dedon and Tribù are using ecologically-sound yarns made of recycled material or hemp. 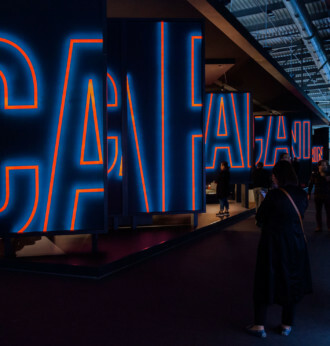 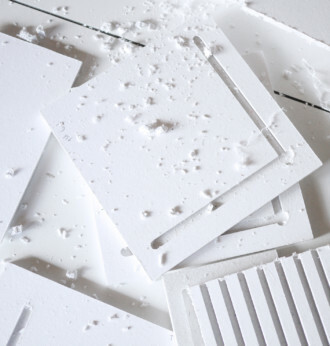 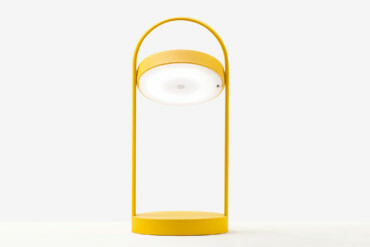 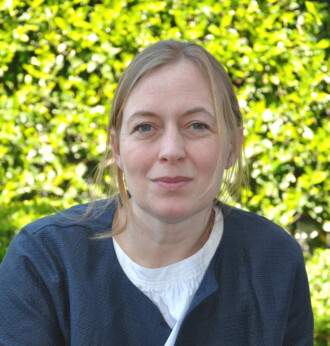 The established collections by the Italians are, however, facing competition from further north, for example from Denmark in the form of Cecilie Manz, who has joined up with the British manufacturer Gloster to develop “Atmosphere”. 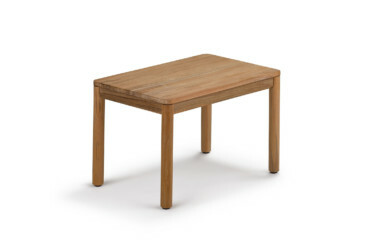 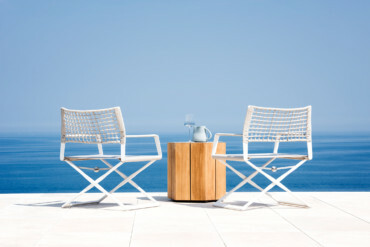 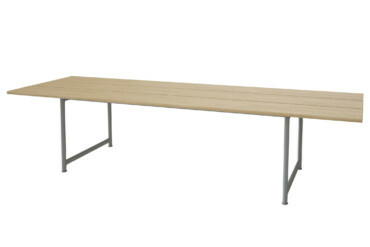 It’s a new outdoor collection which seems marvelously unspectacular and yet decidedly elegant in that classic Nordic way. 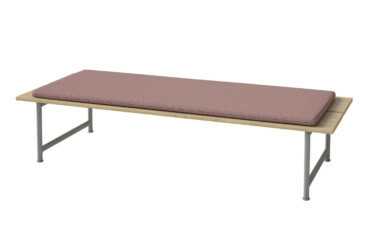 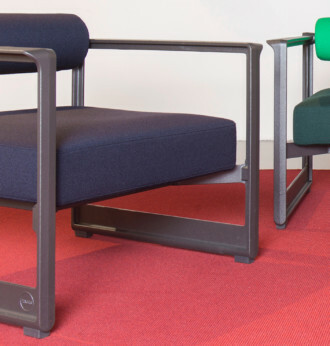 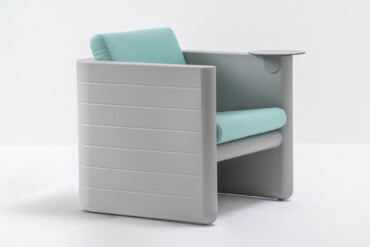 The harmonious colors of the coated aluminum frame and the cushions, and the particularly low height of the seat, are certainly worthy of mention. 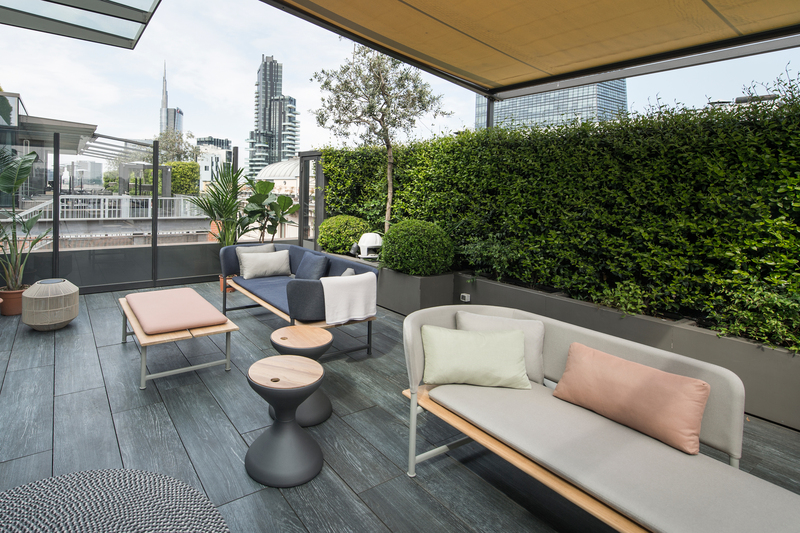 The evening event staged by Gloster and Stylepark on the roof terrace of the Milan hotel “Me il Duca” provided guests with an opportunity to admire the qualities of “Atmosphere” for themselves. 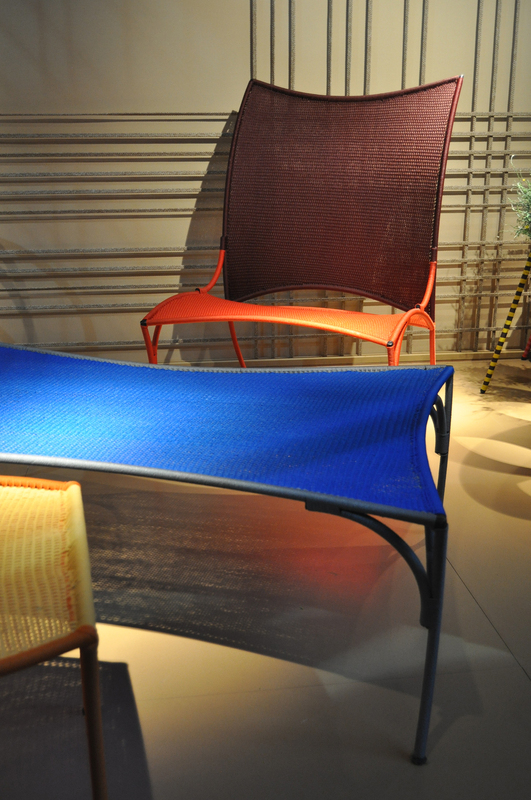 Alongside the numerous high class collections that grace villas and yachts in particular, or the pool areas of up-market hotels for that matter, there was also a wealth of colorful collections for normal everyday use on display in Milan that would appear to have imported their cheerful character directly from Africa or the Caribbean. 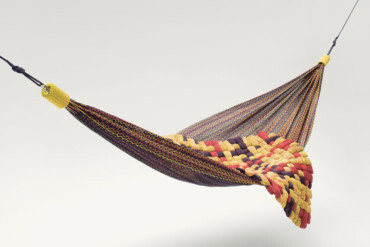 Be it the Columbian brand Ames, which for the “Caribe” series featuring Scoubidou bracelets has teamed up with Sebastian Herkner, or Moroso, which with “M’Afrique” sports, among other things, a nest swing by Martino Gamper and a trampoline-like “Love-Seater” by David Weeks. 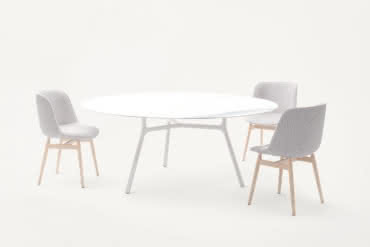 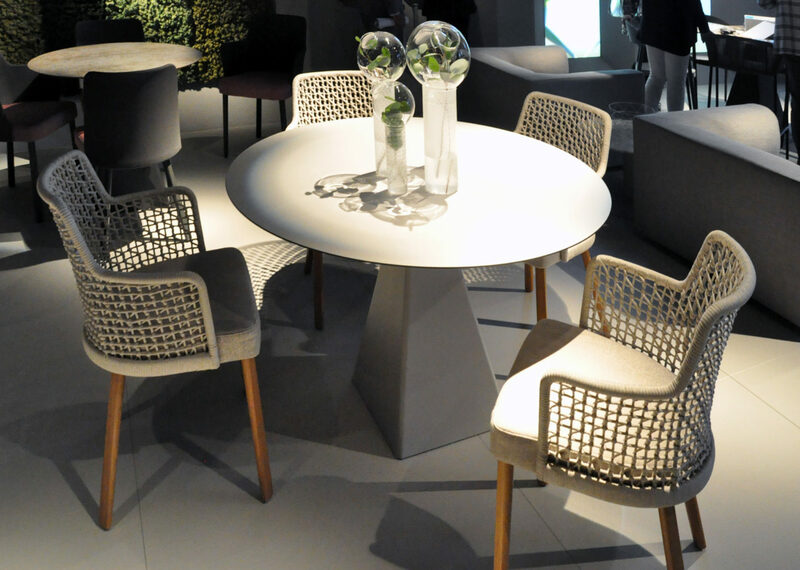 Kettal: the new chair "Bitta" by Rodolfo Dordoni with the tables "Comedore " that have now received a marble slab. 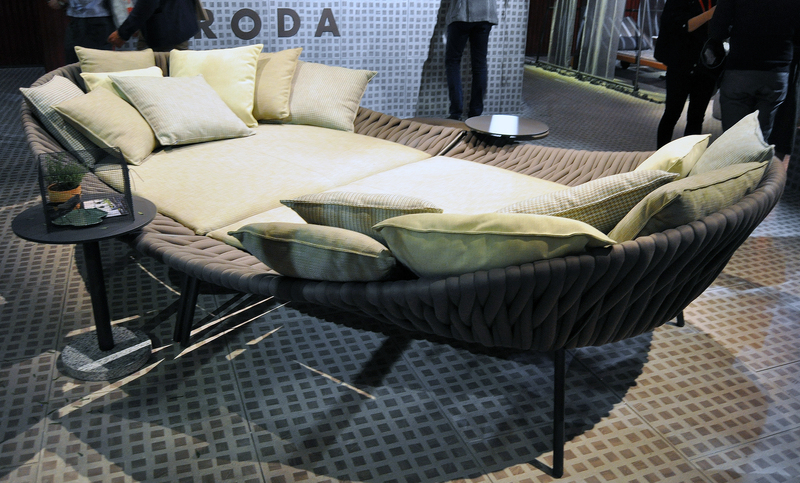 Swing-time: the half-moon-shaped elements of the new outdoor line "Florida" by Rodolfo Dordoni can be combined into different formations. 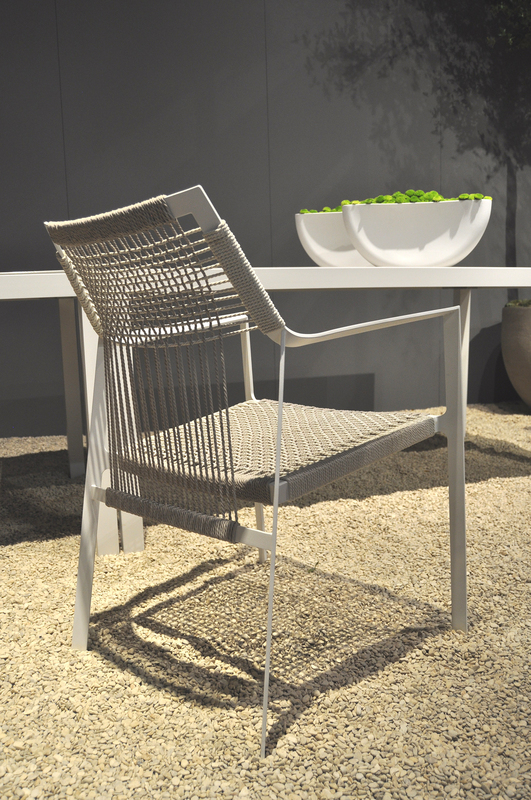 Filigree and feminine: With "Emma" Monica Armani has created an outdoor chair for Varaschin that is available in many different designs. 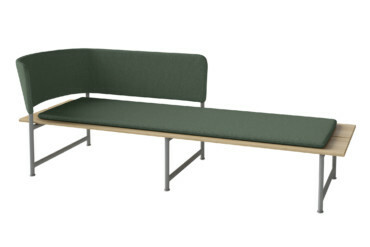 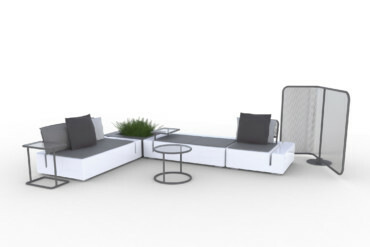 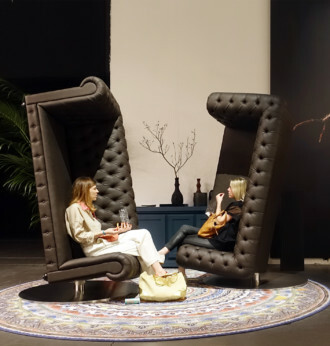 Come on my island: The Maltese designer Gordon Guillaumier has created a love seat for Roda with "Arena" that can be placed separately or together (as in the picture). 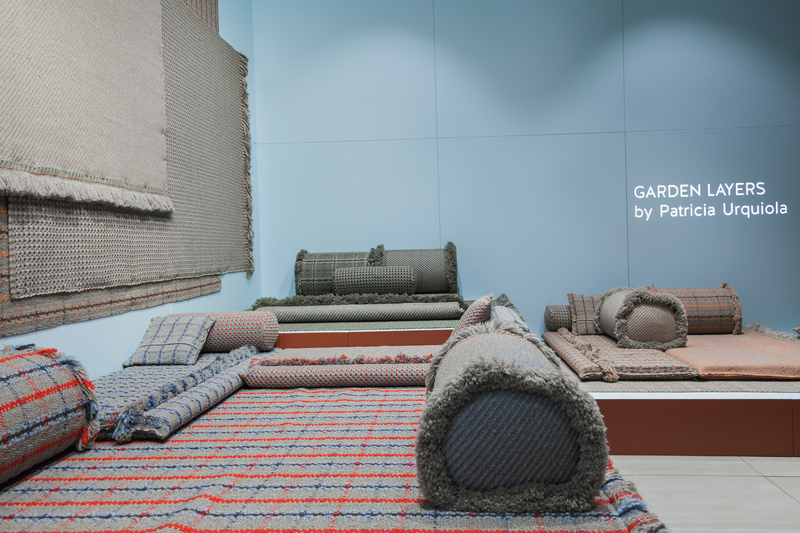 Nonchalance Spanish way: Patricia Urquiola creates "Garden Layers" for Gan by Gandia Blasco - special blankets and pillows for garden sit-ins. 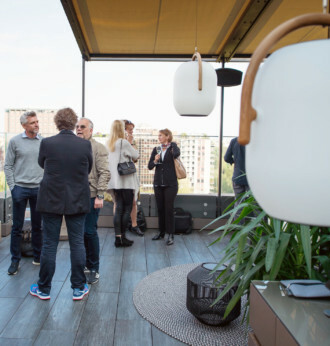 Scandinavian elegance: Cecilie Manz' line "Atmosphere" for Gloster was presented on the roof terrace of the Me il Duca Hotel. 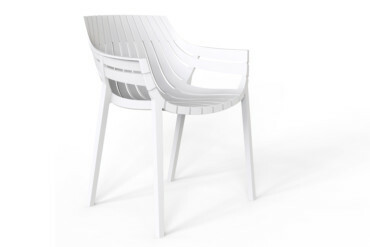 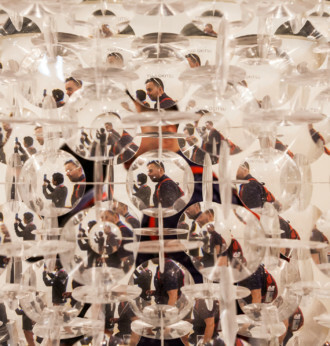 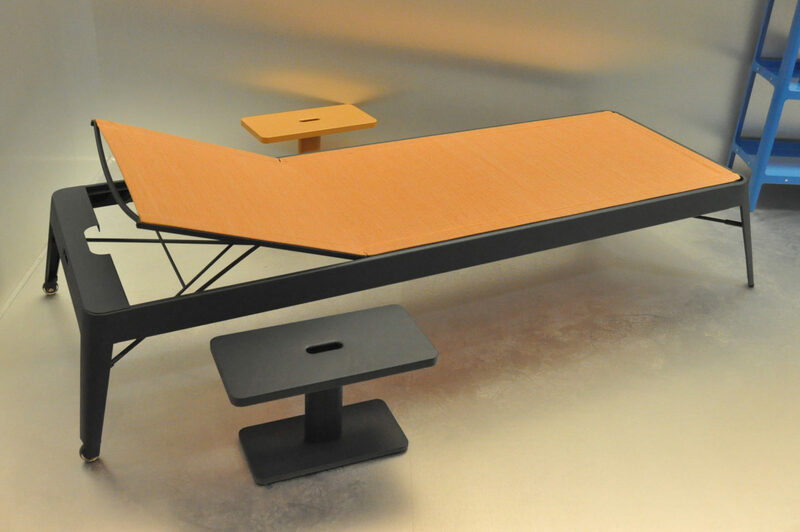 Netted: Patrick Norguet has released "Nef" with an extra high back for Emu. 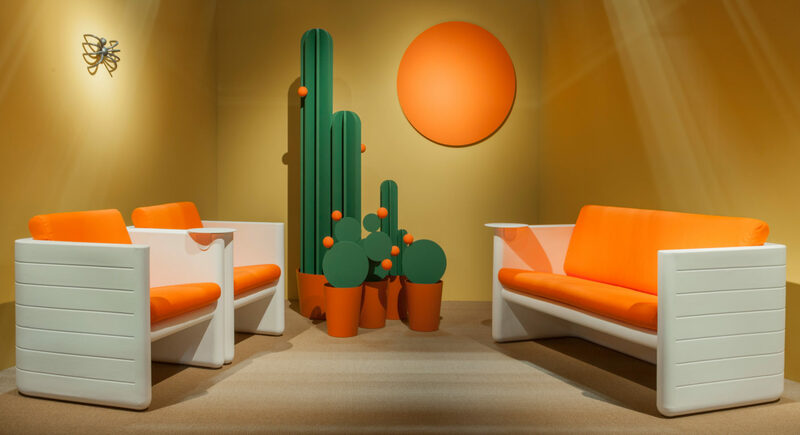 Mexico at Salone del Mobile 2017 feeling with "Sunset 625" and "Sunset 626" by Alessandro Busana for Pedrali. 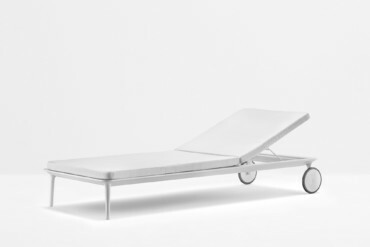 Off to the Côte d'Azur: Tolix has now also a sun lounger in the program - made of stainless steel combined with a Batyline textile as a lying surface. A new classic at Fermob? 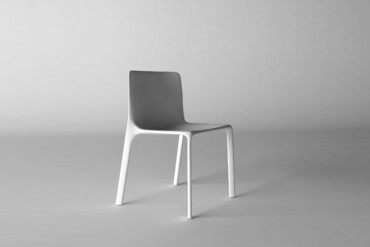 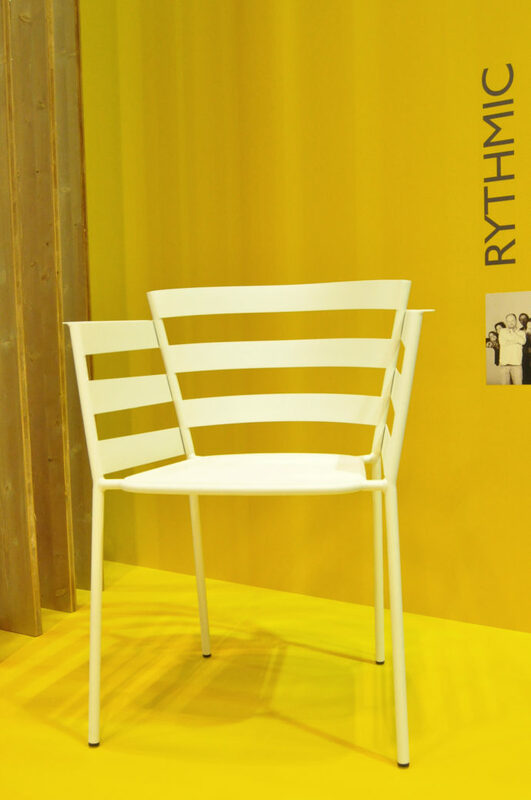 Archirivolto has designed the new metal chair "Rythmic" that is available in 24 colors. 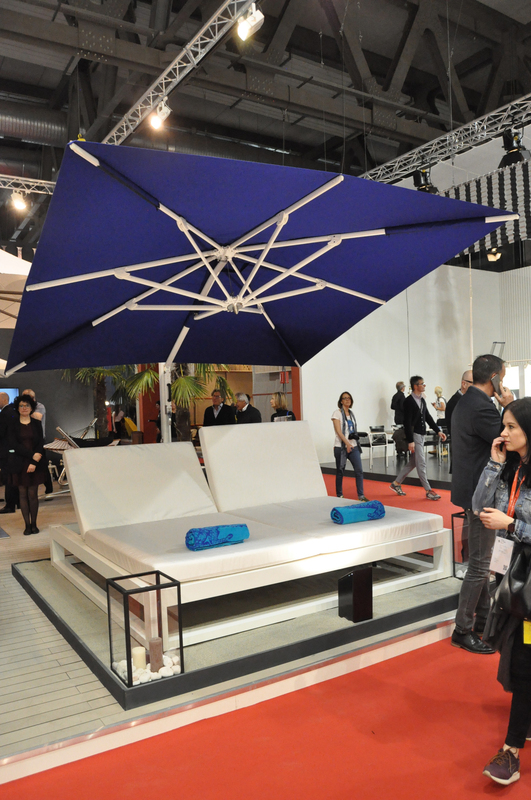 Always at the right angle: The position of the sun parasol by Tuuci can be changed automatically according to the sunlight. 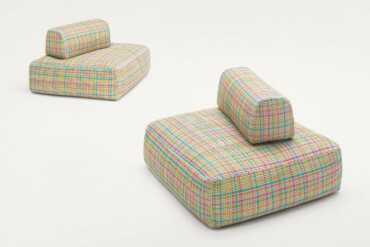 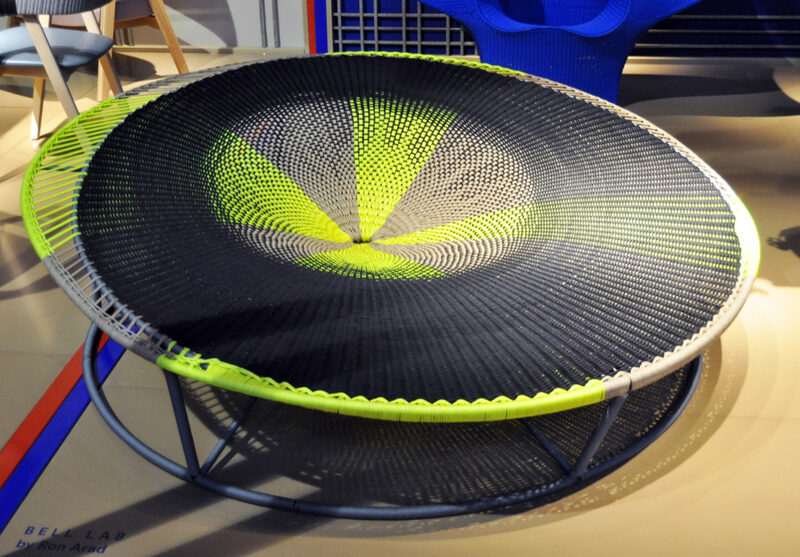 A love-seat like a frisbee: "Amaca" by David Weeks is a new item at the "M'Afrique" line at Moroso. Like the other pieces of Moroso's "M'Afrique" line, the "Arco" armchair by Martino Gamper is also made in Senegal. 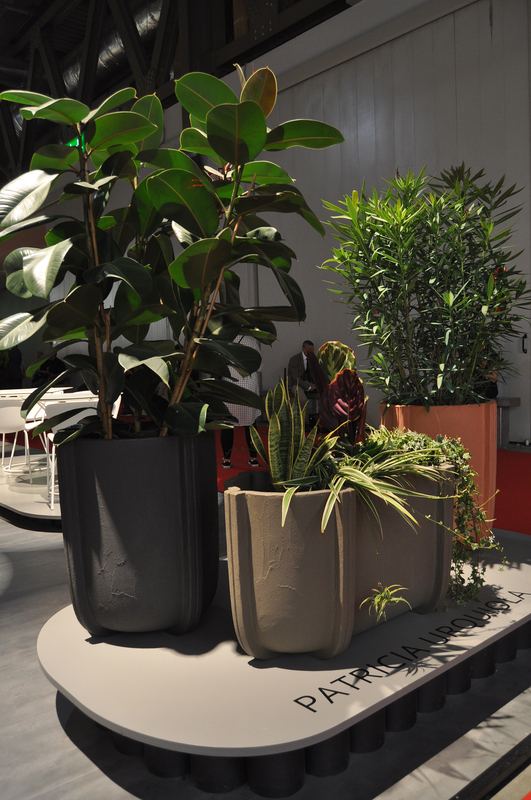 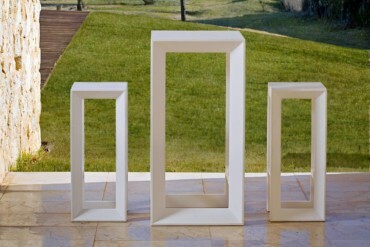 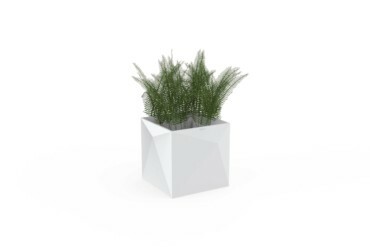 Stylistically potted: Serralunga presents the huge plastic pots "Cassero" by Patricia Urquiola. 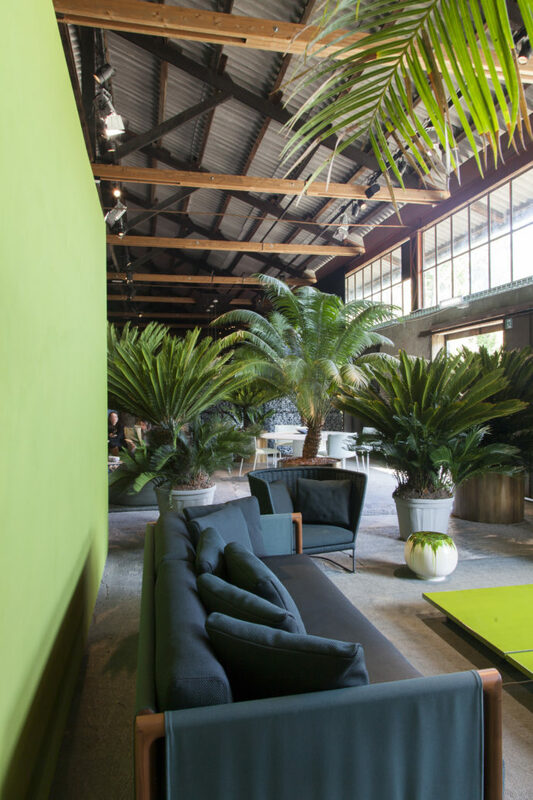 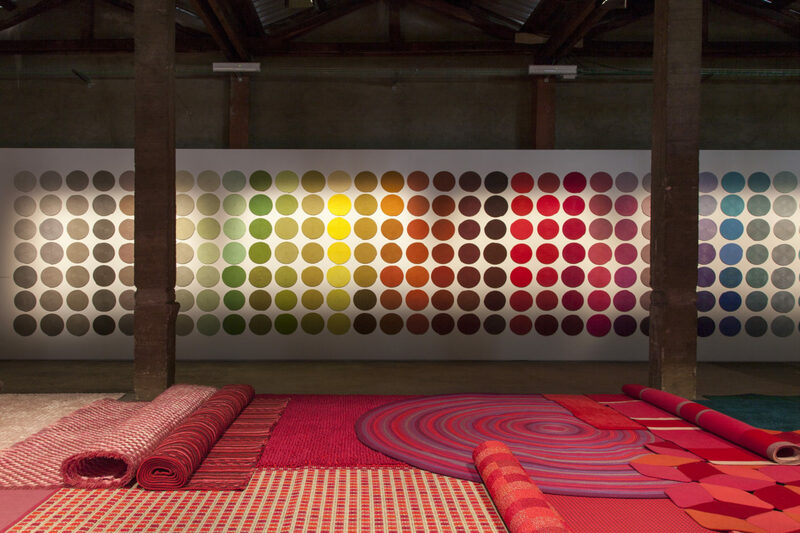 New location: Paola Lenti presented the collection this time in the Fabbrica Orobia near the Fondazione Prada. 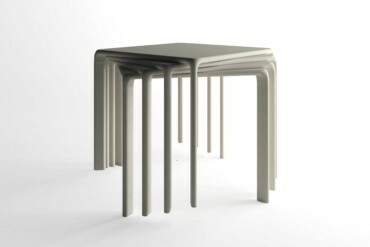 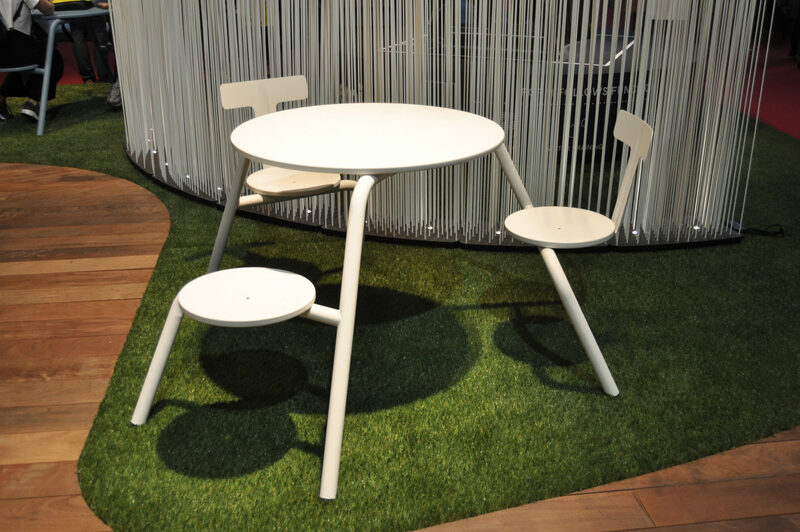 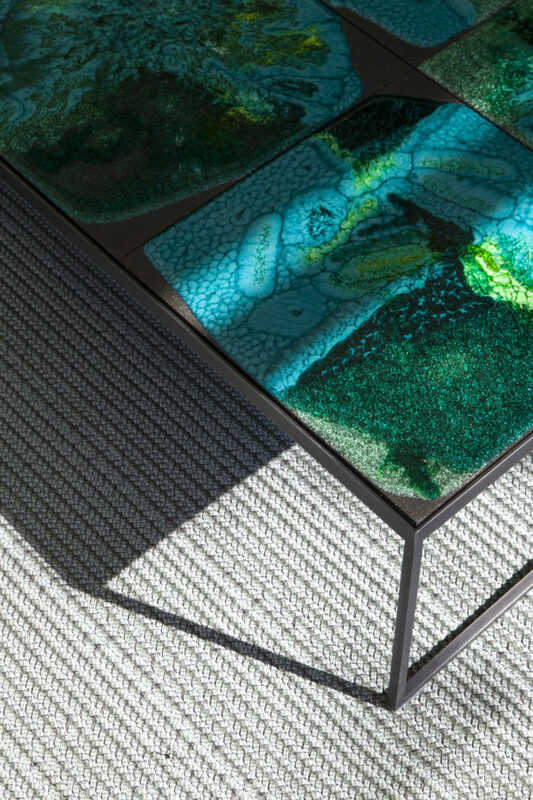 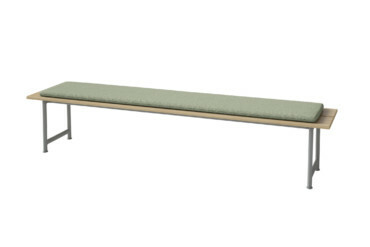 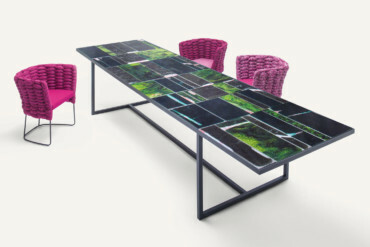 With Délabré Finish: The tables at Paola Lenti have been developed in cooperation with De Castelli.